Little Rocky at a Hindu shrine, Batu Caves in Kuala Lumpur. So far we’ve traveled over 100,000 miles and Little Rocky has made new friends around the world. (Although in Asia a few people confused him with someone named Rambo.) He’s been great at getting conversations started and makes people smile wherever we go. A restaurant in Cambodia even whipped up a cheesesteak for him because he was missing his favorite food from Philly. 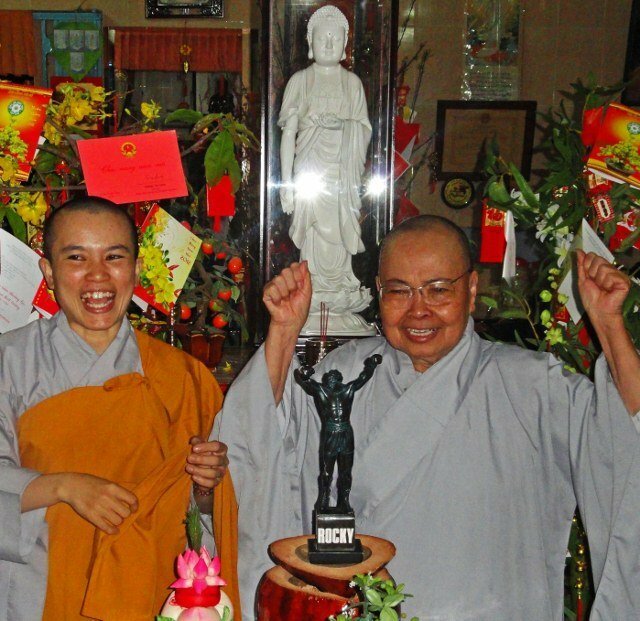 We were a bit surprised that these Buddhist nuns in Saigon were big Rocky fans. 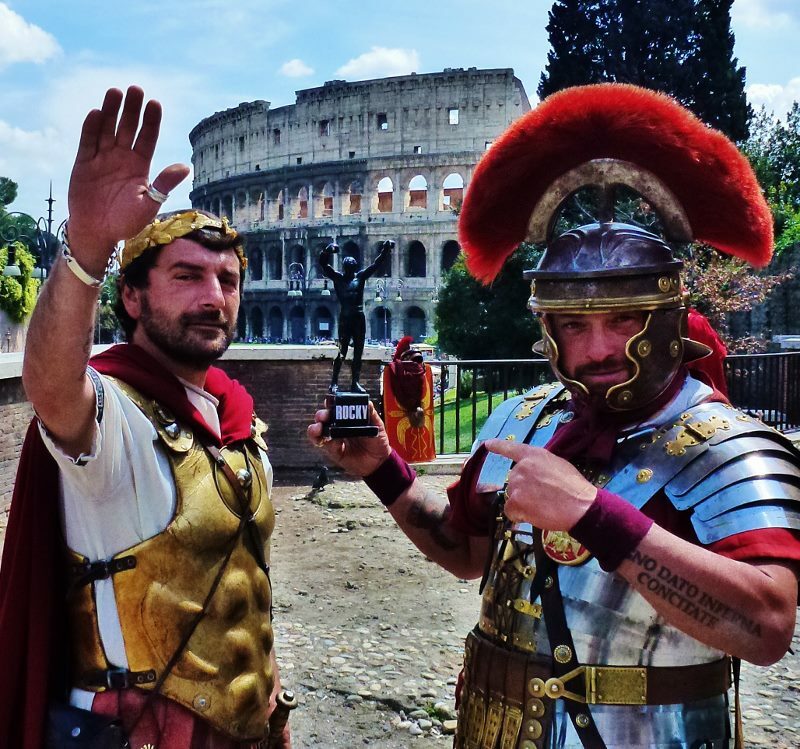 Rocky returned to his roots in Rome where perhaps his ancestors were gladiators at the Colosseum. 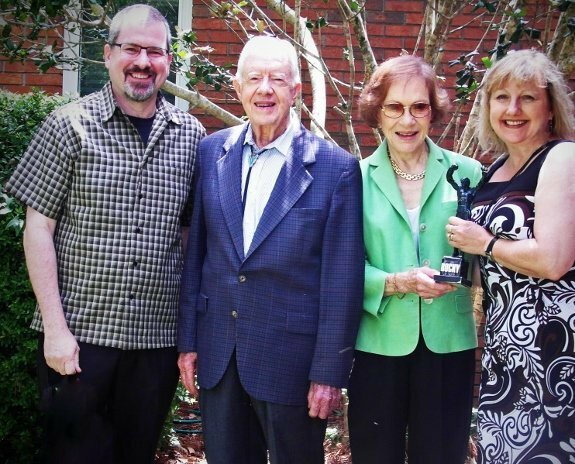 With former President Jimmy Carter and First Lady Miss Rosalynn in Plains, Georgia. Little Rocky made like Indiana Jones at Petra in Jordan. With the San people in Namibia. 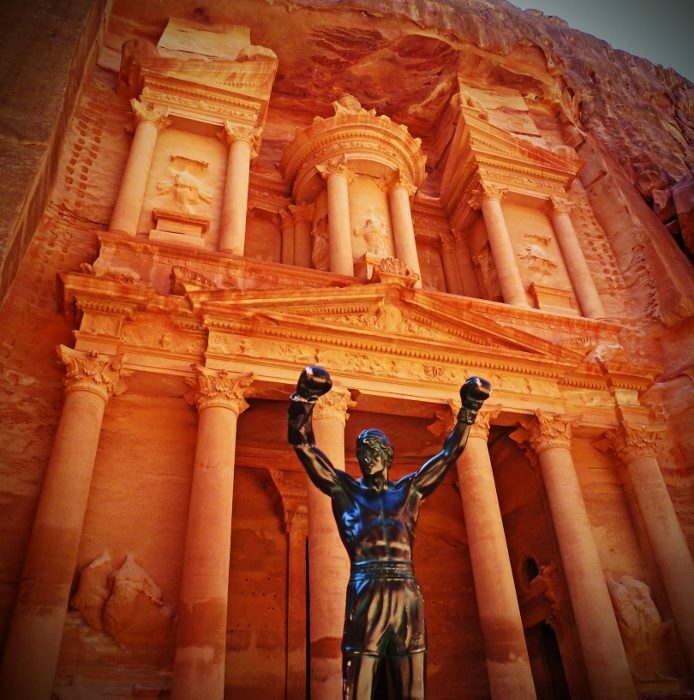 After two years on the road check out our photo album of “The Rocky Statue Travels Around the World” where he was hoisted by such luminaries as former U.S. President Jimmy Carter; actors Danny DeVito and Andrew McCarthy; and Steve McCurry, the photographer of the iconic “Afghan Girl” cover for National Geographic. If all these photos are making you hanker for your very own Rocky statue you’re in luck. Due to popular demand the statues are back. 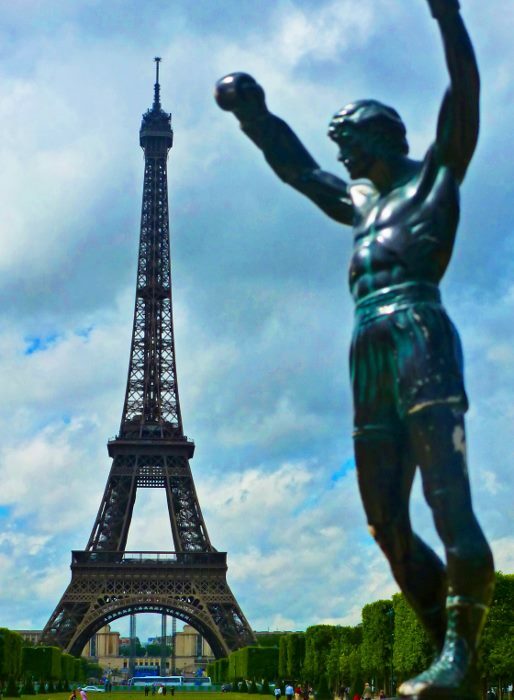 You can now purchase the official 12″ ROCKY Statues. 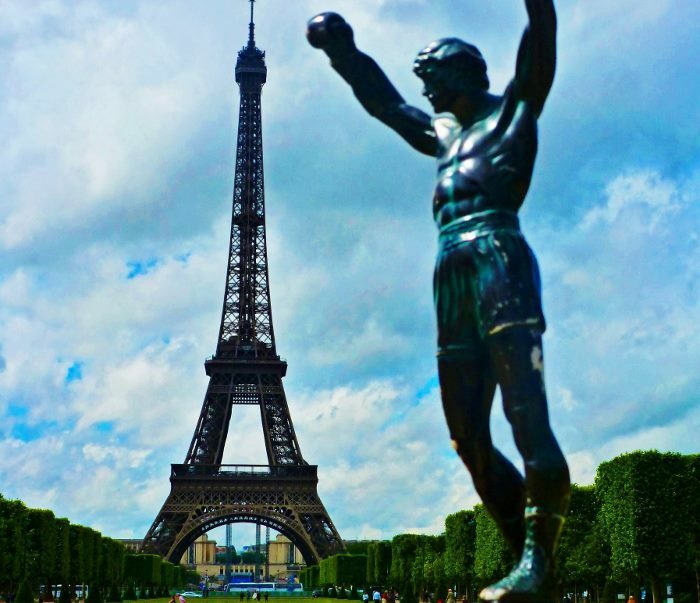 Schomberg Studios, the original creator of the Rocky sculpture for the Rocky movies, is selling a limited edition of this fine statue that is recognized around the world. 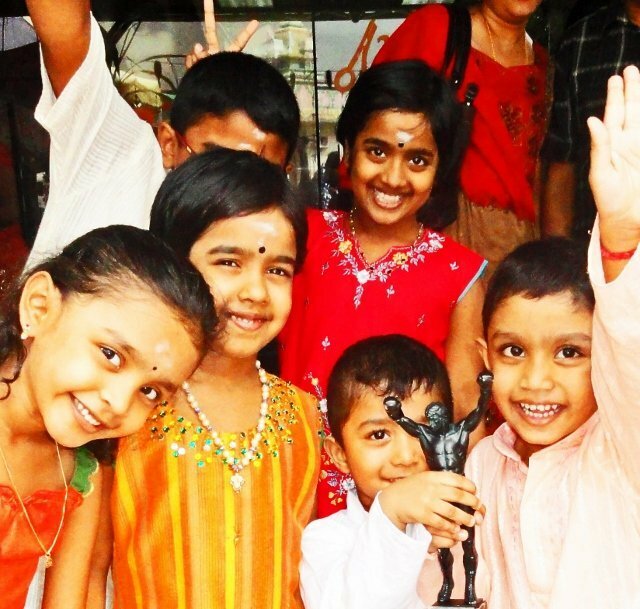 We know from personal experience that these statues are very hard to find so this is a remarkable opportunity. For information on buying a Rocky statue go to the Official Rocky Sculpture Store. Yo! Big Rocky has made six movies, so Little Rocky thought it was time for his own debut. Here (on the small screen, naturally) is a video compilation of some of the places the Rocky statue has been and the cool new people he’s met so far. We’ll be updating this as we visit more places and make even more new friends.